The JHL Fleece Rug is a fantastic general rug that is great for use while travelling, the rug working to keep your horse warm and comfortable with a light, unimposing piece. 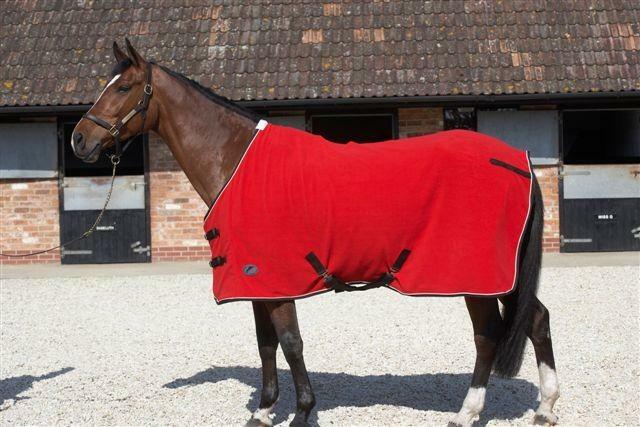 This rug is made from an excellent fleece fabric that can offer a warm cover in cooler conditions, making sure that your horse is kept comfortable. As well as this however, this material makes the JHL Fleece Rug breathable, light enough to allow a cooling flow of air when it becomes too warm, the fleece also able to wick away sweat to make sure that your horses skin does not become irritated, and that their coat is kept in the best possible condition. There are currently no questions for JHL Fleece Rug - be the first to ask one!